The goal was planning for two half-days and two full days in London. I tried to keep with the theme of doing things in clusters, but I didn’t want to create too much rushing around either. I was looking for some authentic activities at a good pace. The strategy used to create the itinerary involved focusing on two key activities per day, and hitting some sights or attractions near those places, if possible or to fill the time. I spent a bit of time researching, and asking around with family and friends who either live or visit London frequently. I have been to London about half-a-dozen times before, although I can’t say I know London very well. I should add it is pretty easy to avoid the tourists when you travel in early February – we were very lucky as it was the first sunny weekend all winter in London. This was our Saturday morning activity. The plan was to go to Borough Market and then head over to the Tate Modern. I have been to a lot of standing markets before, the Quincy Market in Boston, the St. Lawrence Market in Toronto, the Sunday Morning Marché Raspail in Paris, etc, etc. However, I was impressed, very impressed, with the Borough Market. Maybe I just happened to be in the mood that day. You can easily get to Borough Market from London Bridge Tube station. This is a food market with all kinds of exotic foods, cheeses, baked goods, flower stalls, and food stands. We must have spent about 90 minutes just walking around before actually picking something to eat – which was half the fun. I grabbed a coffee and took my time. You need to go on a day when the full food market is open, mainly Wednesday to Saturday. Get there early, like before 9 AM, and it will be less crowded – by the time we left around 11 30 AM, the market was a bit too busy. 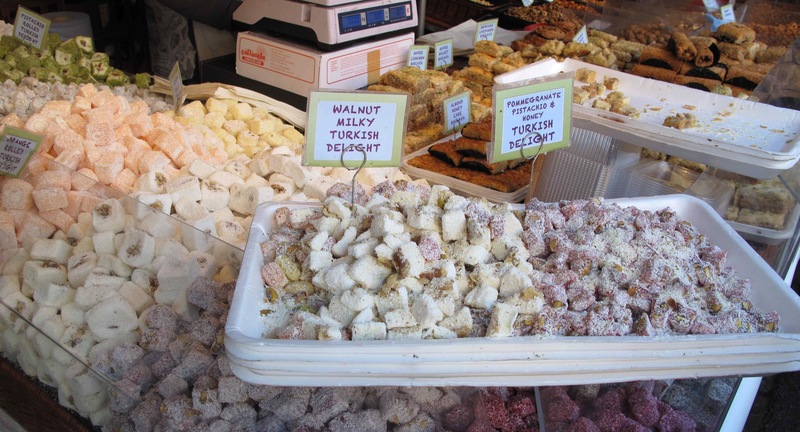 The photo below shows the Turkish Delight I bought as my “dessert” for my ad-hoc market brunch, which was a pistachio and coconut Turkish Delight – it was heavenly. I asked for only a few but the guy insisted I take a pound – I was eating Turkish Delight all weekend. I wonder if I am the first person to bring Turkish Delight to a Barclay’s Premiere League game. This was a good example of having the “main activity” (i.e., Borough Market) and then adding on the Tate Museum and Southwark. We ended up spending at least 2.5 hours at Borough Market, which consumed the entire morning. The museums are free, so we looked around at some of the exhibits, and marvelled at oddity which is modern art. Cultural fix: check. 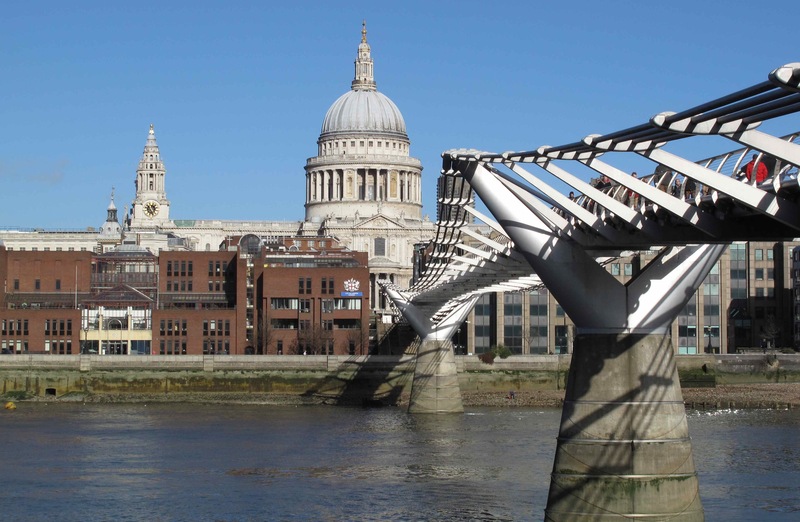 The walk along the Thames in this area is nice, and there are a few attractions – you can also see St. Paul’s is in this area as well. This was our Saturday afternoon activity. I asked a lot of people about booking for a Barclay’s Premiere League match, and whether anyone had season tickets or a way I could get my hands on a pair. There are six Premiere League teams in the London area: Arsenal, Chelsea, West Ham United, Fulham, Crystal Palace and Tottenham. Buying tickets was painless but required some planning and compromises. There was an Arsenal home game and a Fulham home game on my weekend visit. I decided to forgo the pursuit of Arsenal tickets, since they are a top-ranked team. In order to buy Fulham tickets, I had to purchase a membership to the “Fulham Faithful” fan club, which allows advanced ticket purchase. I successfully ordered at 10 AM London time over the web on the day tickets become available, which is about 6-8 weeks ahead of the match. A little research for your football match outing requires determining which part of the stands to sit, usually amongst the home team is your safest bet. 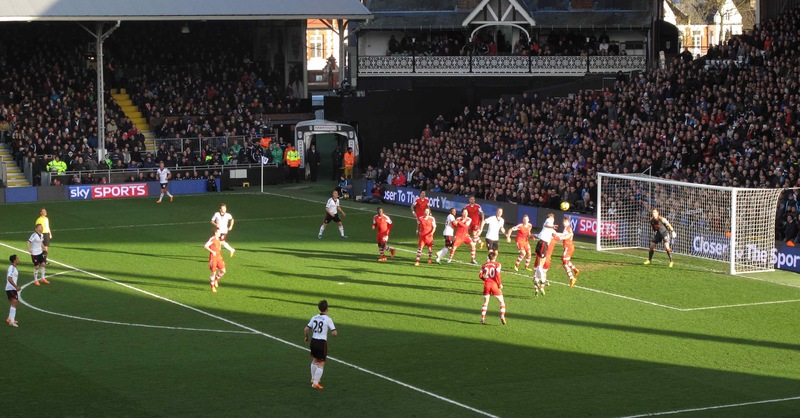 Fulham lost to a must stronger Southampton team, although I enjoyed the experience immensely. Aside from my small mistake, amidst the home fans, of making a muted “whooping” sound and remarking about the impressiveness of a Southampton goal (which resulted in a few nasty looks), things went pretty smoothly. Fortuntately, football hooliganism is a thing of the past. Hampstead Heath is a district north of London, which includes the little village of Hampstead Heath and the valley and parks. It is accessible via the Northern Line of the Tube. Most Londoners come to visit the village and heath to relax, walk around and take-in the charm of the area and architecture. This is a perfect tourist avoidance excursion that provides a nice taste of a little English village not far from the City. This is really about taking-in picturesque English charm, winding streets to explore, eclectic architecture, cafes and pubs, and snapping some artsy photos along the way. I discovered this place when I was looking for a walking tour. In places where there is a rich amount of history and architecture, I feel you really are missing something by just walking around without any narrative. Occasionally, when I stand in my own city at the street-corner downtown, I’ll have a troupe of tourists and a guide walk by, they’ll stop, the guide will stand, point and give a story about a building I walked by a hundred times which has an enthralling history I never knew anything about. It dawned on my that I should never go someplace new without taking advantage of a local, expert, who can help me experience a place better. Anyway, back to the Hampstead Heath… it was really by process of elimination, as I had my set Saturday and Sunday afternoon activities and Saturday morning was the full market, and I picked a walking tour company based on TripAdvisor ratings. The Hampstead Heath tour fit nicely in our Sunday morning, it was “off-the-beaten-path” for tourists, and it was a pleasant contract to the City attractions. I chose the London Walks tour of Hampstead Heath. I was pretty satisfied although I must say the tour moved at a relatively slow pace for my liking, although the guide did give an impressive overview of the area and showed-us nooks of the Heath Village which I never would have found on my own. The people who go to afternoon tea are a combination of tourists and locals celebrating special events. I didn’t get the sense there were a lot of tourists at the Connaught, since I seemed to be the only one taking pictures of the tea, scones and cakes. You need to book in advance for afternoon tea. I got recommendations for Claridges and The Connaught, and only The Connaught was available even though I was booking almost two months in advance for a Sunday. A had at least three people mention they enjoyed having tea there, after I mentioned that we got a booking. 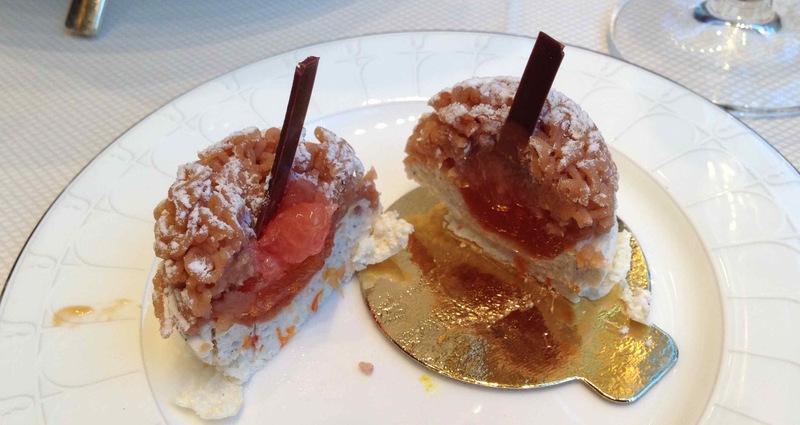 There are tonnes of reviews out there for high tea. I was pretty pleased with my experience there. The food was great, and when we remarked one of the sandwiches had bread that could be fresher, they brought out right away a fresh one – not like we were wanting for more food. The tea was good, although I am not an aficionado of tea. I am, however, an aficionado of Champagne. After a couple of glasses, I was indeed having a relaxing afternoon. I recall there was tea at Afternoon Tea. I asked friends who both visited and currently live in London about their favourite restaurants, and most were quick to provide suggestions. The Cinnamon Kitchen, an Indian Restaurant near Liverpool Street Station, was on our list – it was an excellent meal, but an unfortunate choice for someone returning from a week in India. However, when I asked about pubs, I couldn’t get a single suggestion from anyone. I think the problem was that there were too many, and people fancied their local pubs. I got a few suggestions, but I think people were thinking I wanted a dining experience and I got references to gastro-pubs, like The Larrik Pub. I was on my own. There are a lot of much touted pubs, like The French House in SOHO. 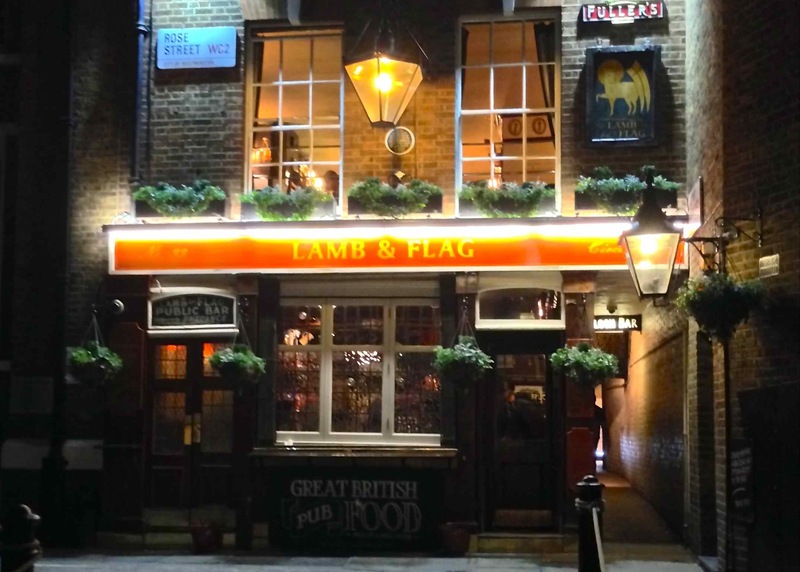 After much research, I settled on the Lamb & Flag. This seemed pretty authentic, and there are claims it has been around for almost 400 years. Charles Dickens used to frequent the pub. I was pretty satisfied with my choice, since I was looking for atmosphere, rather than the best meal. Obviously, I had the special, which was steak and mushroom pie with chips and peas, along with a pint of “their finest ale”. The food was good; it was pub food. However, the atmosphere was great. I felt like I got a good taste of the authentic pub experience. Charles Dickens was a customer… just like me! Marylebone High Street – This shopping street runs parallel to Baker Street and was very near our hotel. It is nice for a easy walk to look and poke-around in some stores.We stopped in The Providores tapas bar on Monday morning, and it was fantastic. You can plan an easy walk and shopping around lunch or brunch, and you won’t be disappointed. I would not say the shopping was fantastic, but it is a very picturesque street, it was near the hotel, and The Providores was amazing. Regent’s Park is near there, so on our Monday we walked through Regent’s Park and over to Marylebone High Street. Carnaby Street – This is a pedestrian shopping street in London and worth walking through. One of the things I find I can get in London, with more selection and a cheaper price, is shoes. I always head to the Campers store if I can make it. The Who Shop – Ha. Not for everyone, but awesome for me. If you’re a regular geek, or closet geek, and enjoy watching the Doctor Who BBC Science Fiction TV Series, then it’s worth the trip out to The Who Shop. This was our Friday afternoon. This required a special trip, since is all the way out near Upton Park Tube station and about 30 minutes each way from Baker Street. This place has a small museum which includes a lot of props from the BBC movie sets that have been purchased over the years.We spent about 75-90 minutes there and it was worth the trip. Tourists from all over the world go there, although it is not a busy tourist attraction by any stretch.